We have some of the finest, most progressive colleges and universities in the entire country, right here in the state of Ohio. It is an honor, and a pleasure to work with their faculty, staff and students. 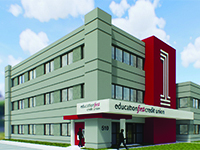 Since 1936 Education First has been a benefit, value and resource to the higher education community. We offer products and services that our members won’t find at conventional banks, and we consider ourselves accountable to serve the financial best interests of every member, every day. When you affiliate with our member-owned, not for profit financial cooperative you experience real and tangible value. 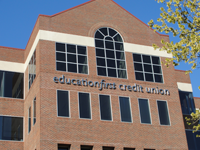 From financial literacy education to low interest loans, we meet the needs of the education community in a way that no other financial institution does. Education is not just a word in our name, it drives everything we do. 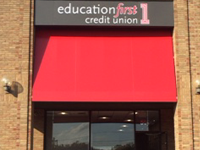 And, we are the only credit union chartered specifically to serve the education community in Ohio. If you are already one of our members, we sincerely thank you for choosing us. If not, we invite you to join us, today. You have our word that we will do all we can to exceed your expectations; our focus is your future. 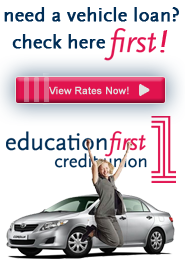 All college or university students across the state of Ohio are eligible for membership.